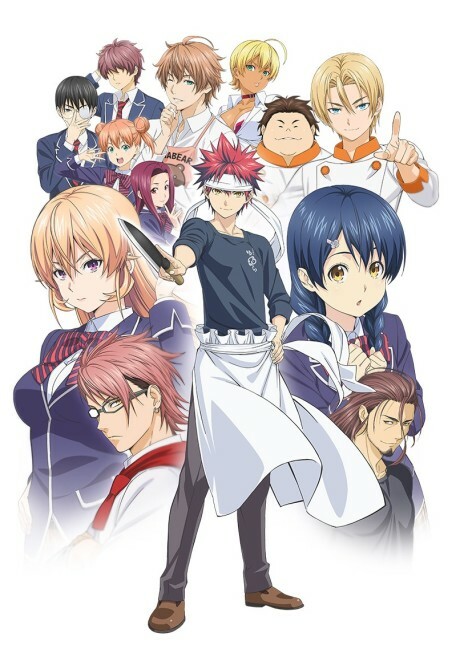 The anime adaptation of the Shokugeki no Souma manga that centers on Souma, who works with his dad at his family's restaurant. His dad is a culinary master, and he often hosts cooking battles with his father. His father then enrolls him in an elite culinary school that is very difficult to enter, and the graduation rate is only about 10 percent. Food Wars hits all the notes as a food battle shounen, but it won't appeal to those wanting a more serious experience. Don’t watch it, if you are hungry.